Sign up for InDepthNH.org’s free weekly newsletter on Fridays and weekender on Sundays here. 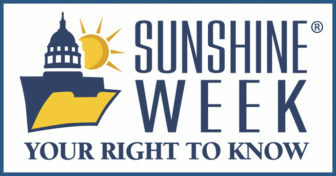 Honoring Sunshine Week – the national celebration of the people’s right to public documents – InDepthNH.org examined Concord Attorney Tom Reid’s right-to-know case that he first filed four years ago. It is still being argued in Merrimack County Superior Court in Concord after being remanded from the state Supreme Court and Reid still hasn’t gotten the information he seeks. It’s been more than four years since then-Rockingham County Attorney Jim Reams was locked out of his office amid allegations of an ethical violation, financial mismanagement and gender discrimination, accusations that were ultimately never proven or even argued in court. Reams’ then-deputy county attorney Tom Reid is still trying to find out what evidence then-Attorney General Joseph Foster used in his failed attempt to remove Reams from elected office. Reid filed a right-to know request for Foster’s investigation on April 17, 2014. Dissatisfied with the 7,000 plus mostly redacted pages he received, Reid appealed to the Superior Court, then to the state Supreme Court, which remanded it back to Superior Court where the case now awaits Reid’s next move to get unredacted what he sees as vital information about Foster’s reasons for trying to remove Reams. “From the beginning, the intent was to wear people down,” Reid said. “The biggest problem with the right-to-know law is the five days they have to respond. The five days mean nothing. In five days, they say, ‘We’ll get to you whenever we feel like it,’” Reid said. The most recent court order by Merrimack County Superior Court Judge Diane Nicolosi, which was released last summer, sides with the attorney general in keeping the names of the witnesses in the Reams investigation confidential. At right, Concord attorney Tom Reid is pictured leaving Judge Diane Nicolosi’s chamber followed by Associate Attorney General Anne Edwards and Assistant Attorney General Frank Fredericks in Merrimack County Superior Court in Concord in March 2017. “They are taking out pretty much everybody’s names, not just alleged victims,” Reid said. Nicolosi said the decision to seek removal of an elected official is a “significant one” and found the public had an interest in disclosure of the substance of the allegations, but not the names of the witnesses in the case. “When weighed against the strong privacy interest in the identities of the people involved in the investigation, the court finds disclosure of the identities should not be compelled,” Nicolosi wrote. Reid said originally, the released documents included the names of the people who were interviewed, but redacted the substance of the allegations. Now the attorney general’s office is willing to release the substance of the allegations, but only if the names of the people who made them are redacted, Reid said. Reid said his fight will continue, but he has been too busy to file a response. He plans to do so soon. Although Reid was never under investigation, he was also suspended with pay when Reams was locked out on Nov. 6, 2013. Reid soon resigned and now practices law in Concord and Portsmouth. 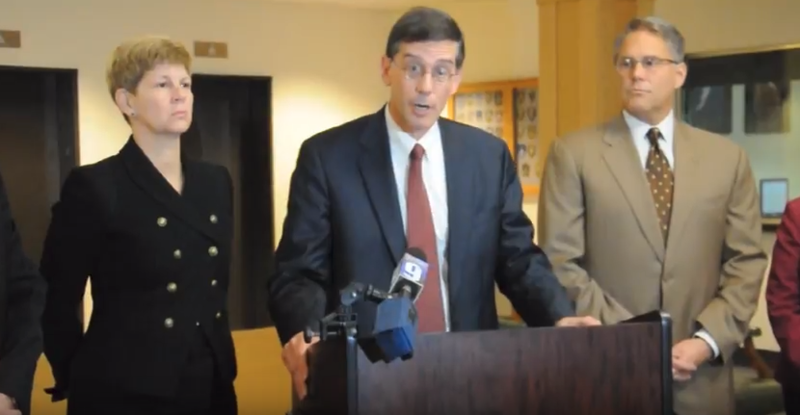 Foster has moved on as has then-U.S. Attorney John Kacavas who appeared at the news conference announcing Reams’ lock out on Nov. 6, 2013. Four months after Reams was barred from his office, Judge Richard McNamara ordered him back to work. The accusations against Reams were never heard in court and no findings were made and he later retired. “For the reasons stated in this order, the Court finds that Reams’ current suspension is unlawful, and that he must be reinstated as Rockingham County Attorney, and provided access to the County offices,” McNamara wrote in an order. Once the state removed Reams, Reid said the investigation increased. “They wanted to make him seem more of a predator,” Reid said. Reid said one complaint alleged that Reams invited a woman assistant county prosecutor to his condo to drink alcohol and use the hot tub and she left after one day because she felt uncomfortable. The reality of the situation was much different – and it allegedly occurred in 1999, Reid said. Reid said people who worked in the county attorney’s office usually attended an annual fundraiser event at Attitash ski area and because Reams had a time share there, he and his wife invited an assistant county attorney and her husband to stay for free in their timeshare because it had two queen-size beds. “The assistant’s husband woke up early and left to get coffee leaving his wife asleep. Reams gets up to go to the bathroom and walks by her bed. That’s it,” Reid said. “In 2013 and 2014, they were talking about something that happened in 1999. They needed to find anything they could to make him seem worse, to embarrass him in public,” Reid said. Messages seeking comment from the attorney general’s office were not returned, but an assistant did forward the court’s most recent order to InDepthNH.org via email. Reams retired on June 17, 2014, after the Rockingham County Commissioners agreed to pay him through the end of his term. Foster later approved a $30,000 payment to Reams and his lawyer for legal fees incurred while he fought the allegations. Reid previously told InDepthNH.org that he was upset by Foster’s actions. “Foster was able to remove an elected official, smear him in a public document, but the public is not allowed to see what he relied upon, if he misrepresented anything, if he conducted an objective investigation or if, as I believe, he conducted a witch hunt and a smear campaign,” Reid said. Click: Judge Richard McNamara’s April 10, 2014 order reinstating Reams. Click: Attorney General Joseph Foster’s June 17, 2014 press release announcing Reams’ retirement.